Aquatica’s Olivia corner tub is a timeless model, which has been designed to suit small contemporary bathrooms. Crafted using premium acrylic sheets from Lucite International, Olivia presents thick walls that provide unparalleled heat retention and durability. 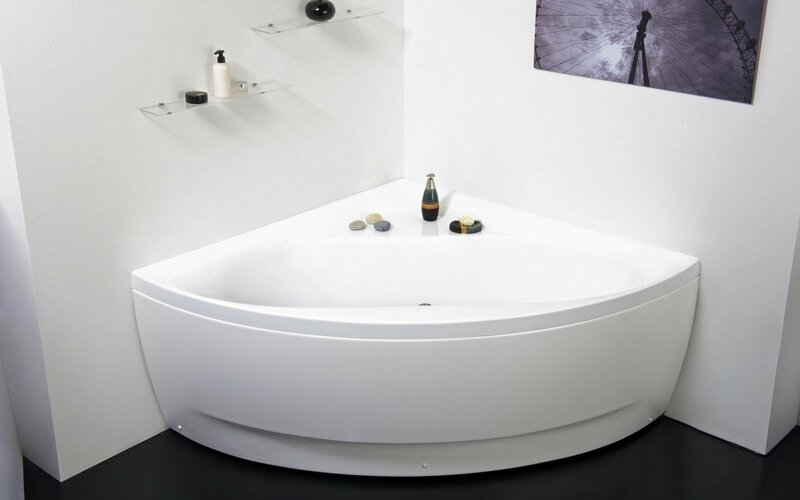 This freestanding corner tub has a deep interior, ideal for relaxing, full body soaks, and its sloping sides allow bathers to comfortably recline. The spacious corner shelf is convenient for storing bath time necessities. 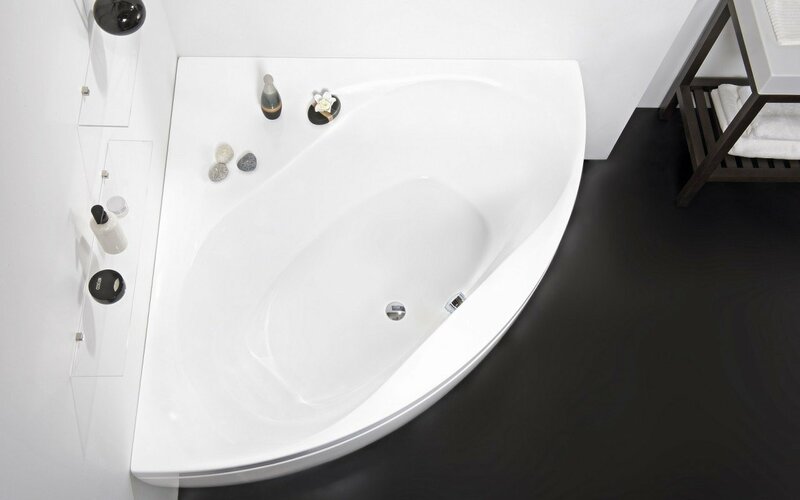 In addition, Olivia corner tub is avaliable in two sizes: 140cm (55 in.) or 149 cm (58.75 in.). This bathtub is gorgeous and is a welcome replacement to twenty year old whirlpool bath we ripped out. I had no complaints from the contractors who fitted the bathtub and the delivery from Wayfair went without a hitch. Very happy with my purchase and not doubting the investment. This fits inthe corner exactly as i had hoped. I love the deepness. It is a little hard to get out and bottom is slippery. 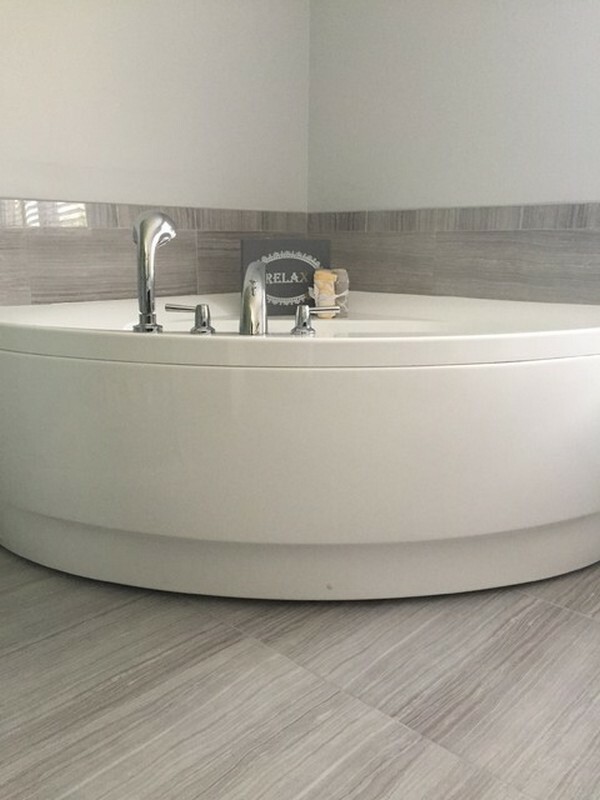 Love this tub, put it in the basement bathroom completed the look i was looking for. I was worried to purchase a bathtub online but I received exactly what we hoped for. Installation went well (by a professional plumber with the instructions provided by manufacturer) and it looks amazing in our bathroom. This size is perfect for me as a tall person. The water looks blue when it's full, very sleek. It evokes an "Oh wow" from everyone who sees it. When this item came it was perfect for our master bath.